Light & Darkness Radio: Featured Today! "Imperia, Black Majesty..."
Having a lazy Sunday huh? I hear ya! Here's Today Featured Bands! Imperia (NL) - IMPERIA is an atmospheric metal band whose sound is as artistic, distinguished and remarkable as the pure and passionate voice of it’s vocalist Helena Iren Michaelsen who sings in a variety of operatic styles which portray deep emotional feelings to extreme and vivid operatic expressions. The music is full of artistic expression, it is heavy, hard-hitting and orchestral, but it also contains elements of pure metal. The band is a true cross-border unit of musicians originating from different countries: Norway, Finland, Germany and Belgium. Through hard work and extensive touring the band has earned its reputation as a powerful live act. The first release of IMPERIA was a cover-song "Lotus Eaters" for a Dead Can Dance tribute album which was released by Black Lotus Records in the spring of 2004. The song was recorded at the RS29 studios by Oscar Holleman in Holland. 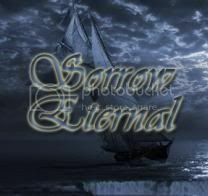 The tribute-album and especially IMPERIA's title track received excellent reviews from around Europe and soon afterIMPERIA signed a record deal with the Dutch Ebony Tears label. In the summer of 2004 IMPERIAplayed their first gigs and also recorded their debut album "The Ancient Dance of Qetesh". The album received rave reviews and it even made it to album of the month in Belgium and in Spain. In the following months the band played all over the main clubs in Holland and Belgium. They also played in some festivals and supported bigger names like for example Nightwish in the sold out Amsterdam HMH. In 2005 the band recorded another project of Helena called Angel. The album "A Woman's Diary - Chapter I" was released by Black Lotus Records in the spring of 2005. Though the style of the album was very varied and less metal the band succeeded to demonstrate their versality and musicianship. Also Helena had this time the change to show her skills in more mainstream music next to the opera style she is already known for. Towards the end of 2005 IMPERIA had written enough new material for the second full length. So in February 2006 the band entered the Spacelab studio in Germany with the producer Oliver Philipps and Moschus Moos. The band teamed up with the German Massacre Records, which had proven to be a reliable label and which had helped a lot of artists in their style. The secondIMPERIA album, containing a mixture of power-metal tracks, passionate prog-metal stories and some of the most beautiful and delicate ballads in metal was titled as "Queen of Light". The album was chosen for album of the month in Belgium. To support the album IMPERIA toured European festivals like TUSKA in Finland, Battle Of Metal in Germany and Magic Circle Festival II in Germany. IMPERIA were also featured on the MCM festival DVD with two live-tracks. During 2009 and 2010 new songs were written for the third full length. The album was titled as "Secret Passion" and the recordings started in the autumn of 2010. This time band used different studios for the recordings. The drums were recorded in Germany, the bass in Belgium, guitars in Finland and the vocals in Norway. The orchestrations were produced by Oliver Philipps (Everon), who also performs on the album. As a guest musician IMPERIA introduces Tina Guo on the cello. The mix and the mastering were handled by Jacob Hansen (o.a. Volbeat, Destruction) in Denmark. The new IMPERIA album "Secret Passion" is full of variety and it's a musical journey thought different emotions and soundscapes. Welcome on the IMPERIA's epic journey!! Black Majesty (AS) - Australia's Metal scene may be small but is nothing to be sneezed at. Far from the trends and the musical centres of the world, a very independent scene has developed which has a life of its own. Numerous Australian Metal bands have long cast off their exotic status and in many respects they are seen as role models. With their three previous albums BLACK MAJESTY have proved again and again that they are absolutely capable of playing excellent melodic Power Metal which has its roots in the very earth of the genre. But they also know how to introduce innovative ideas and with their impressive compositions knowingly raise themselves above the rest of the scene. We have all had to wait three years for their fourth album, "In Your Honour", but once again the Australian's show us that sitting on their laurels is not their thing. "In Your Honour" is an excellent Power Metal album which superbly blends melodic and progressive aspects and which shows the band in fantastic form. BLACK MAJESTY are back with a wallop! Tighter, tougher and above all more confident, showing that this is truly a very special band. Producer Roland Grapow (Masterplan, ex-Helloween) used his magic touch to turn this upwards step into sound. Without exaggeration, "In Your Honour" is definitely one of the musical highlights of the 2010 Power Metal genre. Formed in 2001 under the name of KYMERA, the lads changed the name toBLACK MAJESTY after their first line-up change. The two musicians could already look back on a busy musical career in various metal bands in the Melbourne area. After sorting everything out they began the songwriting for their debut album, "Sands of Time" which was released two years later. The album leaned in the prog direction but they followed the styles of Queensryche, Jag Panzer and Iron Maiden and it was this which attracted the attention of Limb Music Products, who quickly placed BLACK MAJESTY under contract. The company has remained true to the band until this day, an example of the harmonious and productive collaboration between them. "Sands Of Time" hit Europe like a hammer and the band quickly found itself amongst the top newcomers of the year. In numerous online polls the album was even voted "Album of the Year". Encouraged by this success they played live shows and then began work on the follow-up album. 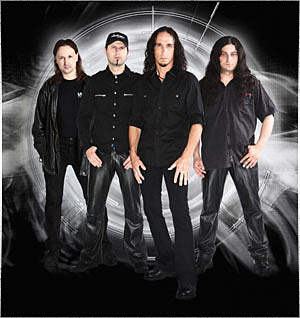 2005 saw the release of "Silent Company", on which they clearly left the progressive path, hitting the faster lanes of driving, melodic Power Metal. Drummer Pavel Konvalinka recorded his drum parts for this album in Germany at Piet Sielck's studio (Iron Savior), whilst the rest of the band recorded their tracks with Endel Rivers in Melbourne. To promote the album's release, BLACK MAJESTY played their first European shows, amongst them festivals alongside Hammerfall and Edguy. Then it was back home for a tour with Nevermore and Dragonforce. "Tomorrowland", the Aussie's third album was released in June 2007. The style followed that of its predecessor but their special elements were intensified. Once again they had the chance to play live in Europe. Beside solo shows they were invited to play at the world's greatest and truest metal festival, the Wacken Open-Air, as well as at the Masters of Rock in the Czech Republic and the Metal Universe Festival in Slovakia. The album proved to be yet another success and allowed the band to tour with international acts back in Australia. They opened for Helloween on their tour and a little later supported Saxon in the land of Oz. It is worth mentioning that, during all this time, BLACK MAJESTY never had a bass player of their own. In the studios, on tour and for headliner shows of their own, they always relied on bass-playing mates. And this also applies to their fourth album. The fans had to wait three long years for the follow-up to "Tomorrowland" warten. "In Your Honour" makes it absolutely clear that BLACK MAJESTY are amongst the best Power Metal bands which have ever hit Europe from the world's youngest continent. Even during the work on their new album, the band was on the road, playing live. They supported the ex-Iron Maiden singer, Paul DiAnno and Edguy at several Australian shows and even headlined the Bla Bla Bla Festival in Jakarta, Indonesia. 2010 will be BLACK MAJESTY's year. With an album like "In Your Honour", the title referring to their numerous fans who have stuck by them during their career, nothing can go wrong. The songs reflect elements of Judas Priest, Iron Maiden, Helloween, Queensyrche and even Hammerfall without trying to copy them. The hymn-like opener, "Far Beyond", with its impressive classical metal riffs and its up-tempo beat marks a journey into the very core of metal eargasms. The driving, fast riff attacks and excellent song lines of "God Of War" reminds one of Helloween in their "Keeper Of The Seven Keys" times, but at a much higher voltage. And it is topped by the BLACK MAJESTY trademarks in the form of brilliant lead guitars and highly melodic vocals. "Further Than Insane" is an enormously fast number with tight melodies and superb riffing as well as a perfectly galloping tempo. The foot on the pedal is not quite as heavy on songs such as "End Of Time", "Witching Hour" and Millenium" with their solid melodies, clever musicality and exhilarating solo parts. "Wish You Well" is definitely a hit for the band, with an unforgettable chorus and underlined by a riff which can almost be described as "classic". The guitar duels of Messrs Janevski and Mohamed are of the highest quality, and John Cavaliere's vocals almost unique. With all this comes a warmer, broader sound by Roland Grapow, who gave the nine songs of the regular release a heart and soul (a limited edition Digipack CD with liner notes, poster and sticker contains eleven songs) - all these are ingredients of a classic album. "In Your Honour" is THE perfect album for the Power Metal fan who sees memorable melodies and diversified guitar parts as being just as important as driving banger rhythms. The album's high quality cover artwork was carried out by Dirk Illing (Paragon, Wizard etc. ), who also designed the cover of the current Scorpions album, "Sting In The Tail" and who, with his work has put the crown onto this, the fourth instalment of the BLACK MAJESTY history.